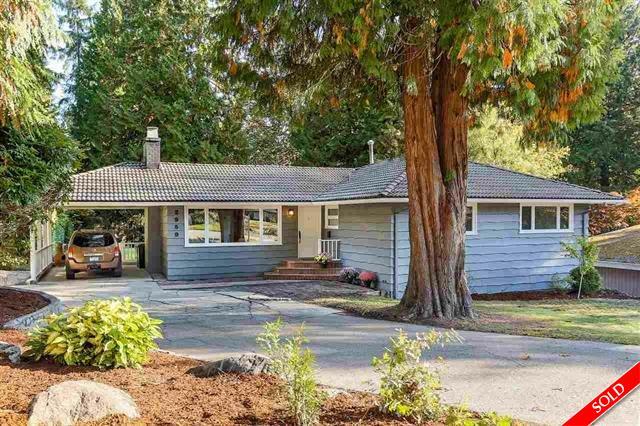 Tastefully renovated rancher w/full bsmt on massive 12,800 sqft. lot at the quiet end of street. Beautiful cherry hardwood floors on main. L/R has new F/P & French doors leading to the walkout patio & grass area. Lg kitchen w/maple cabinetry & dazzling granite counters; quality S/S appliances accented w/lovely tile backsplash & heated tile floors. Built-in speaker system in L/R & kitchen. 3 good-sized bdrms up, incl. lg M/B w/ensuite. Bsmt has brand-new rec room w/built-in shelving & cultured stone F/P. Spacious + bright inlaw suite w/sep. laundry. New plumbing, electrical, exterior paint, & updated vinyl windows. 34x27 detached garage with 220 power & separate heat! Lots of parking. Close to schools, shops & transit!